It contains flavonoids and it is thought to heal and help prevent the common cold, inflammation of the upper respiratory system, indigestion and intestinal disorders. It is also considered to be antioxidant and a natural pain and stress reliever. Its scientific name is Sideritisspp. 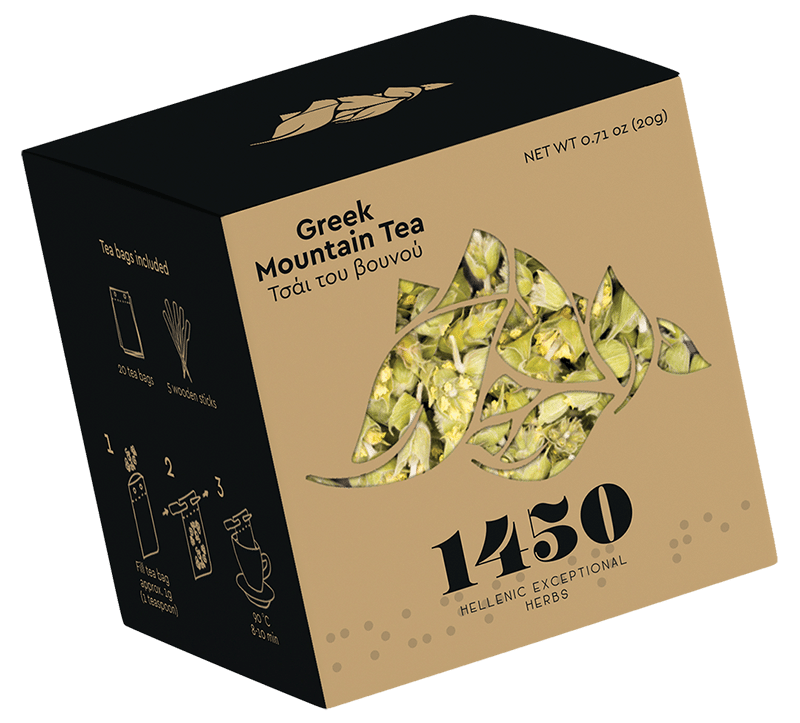 Mountain tea, belongs to the Lamiaceae family and the genus of Sideritis, which includes almost 150 kinds that grow mainly in the Mediteranean countries (Greece, Spain, Italy, Cyprus, Turkey). It is known in our country since the ancient years and both Theofrastos (372-287 BC) and Dioskourides (10th century AD) refer to it. Around seventeen varieties grow nowadays in Greece. Its scientific name is Sideritisspp or Dioskouride’s sideritis. It is said that it took its name by its ability to cure injuries caused by metal objects, or as others say by the shape of its flower which looks like a spear tip. It is a perennial plantand its height ranges from 10 to 50 centimetres. Its roots are thin and round with fuzz. Its leaves are also covered with fuzz and their length ranges from 1 to 6 centimetres.They are fat, slightly fleshy, long and ellispoidal. Its flowers form corymbs with a yellow-white colour. Sideritis is a tasteful and aromatic herb. For every cup, you we need to fill a filter, which is included in your package, with the tea flowers and add fresh water. The temperature of the water must be approximately 90-95 degrees Celcius (just before its boiling point). Your herbal drink will be ready within 8 to 10 minutes. You may also add honey or lemon for a different flavour. 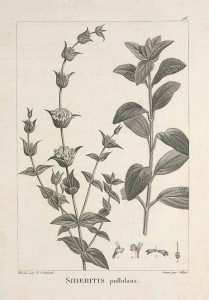 Mountain tea (Sideritis) can be served as an excellent hot winter beverage, but also as a refreshing drink during the hot summer months. “Very attractive, bright colour, vivid with good clarity. Attractive presentation- the flower buds are whole, bright and beautiful. Light aroma, with grassy notes on the nose. Delicate, vegetal, citrus and subtle herbal notes on the palate. All in all, a very refreshing drink with mild, herbal and citrus notes. The judges felt it was an enjoyable, soothing tea, produced by a good quality incredient”. 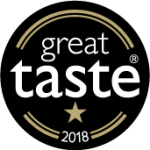 We, the people of the “1450 Hellenic Exceptional Herbs” company, would like to thank the Great Taste awards for the star. It has been our honour. Quality testing is performed during the whole productive procedure from cultivation and drying stage till standardisation. 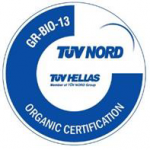 The products have been certified for their organic origin and labeled as “under conversion in organic agriculture” from TUV (TUV NORD GROUP).